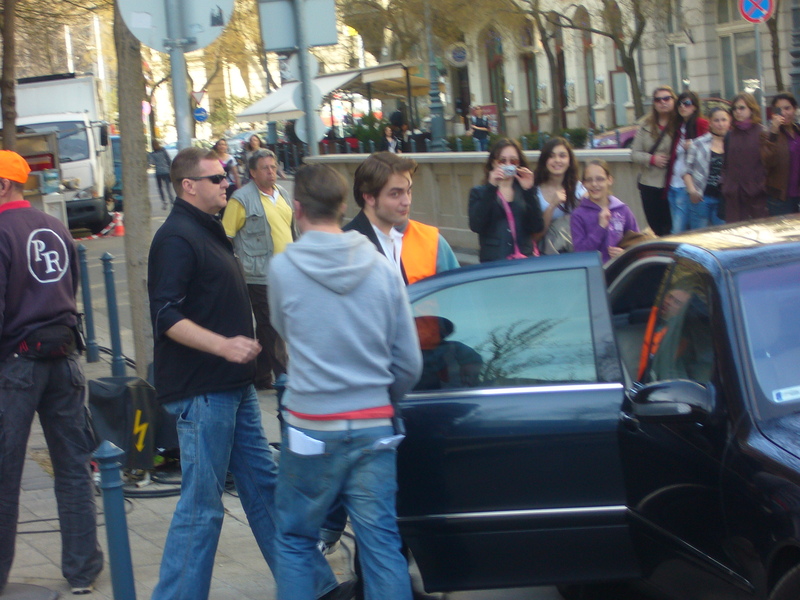 Bel Ami filming for Monday, March 29 has wrapped in Budapest’s Liberty Square. I have a translated witness account of today’s filming taken from Hungarian Robert Pattinson fansite http://robertpattinsondaily.hu/. The translation from Hungarian to English is pretty raw, but you get the point! 4 Responses to "Photo and Story about Bel Ami filming Monday"
He does look good in the suit, but I think he’ll look better out of it! Tee Hee I can’t wait to see this movie!